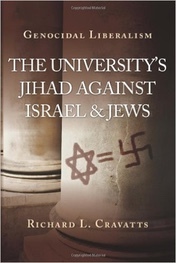 Richard L. Cravatts, PhD, is President of Scholars for Peace in the Middle East and author of Genocidal Liberalism: The University’s Jihad Against Israel & Jews. “My style of deal-making is quite simple and straightforward,” wrote Republican presidential candidate Donald Trump in his 1987 book, Trump: The Art of the Deal. “I aim very high, and then I just keep pushing and pushing and pushing to get what I’m after.” How Mr. Trump’s much-lauded negotiating skills will translate into effective diplomacy in the Middle East has now been raised on several occasions in the campaign, particularly in regard to the thorny Israeli/Palestinian conflict. Pushed by Scarborough to answer what side he would favor in guiding negotiations, Trump then made a statement that has since elicited comment from many quarters, particularly because it exposed a seeming ambiguity about how Trump views the two parties in the Middle East’s longest-running conflict. 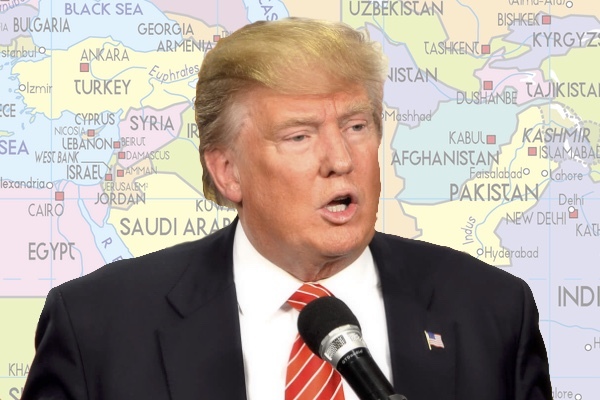 In looking back at a succession of U.S. administrations, and their respective attempts to make peace between Israel and the Palestinians, palliate the Arab street, and insure the continual flow of Gulf State oil to Western economies, it is clear that Mr. Trump’s reasoning is exactly inverted, that appearing to be “neutral,” or actually announcing neutrality at the outset of negotiations, is misguided and will result in precisely the opposite results those at the bargaining table had hoped for. Obama was announcing himself as the new, freshly multicultural, compassionate face of American diplomacy, and deluded himself that making apologies for America’s perceived diplomatic excesses under Bush, excusing its failure to appreciate the subtleties of Islam and to accommodate its beliefs, and ending the U.S.’s own feeling of exceptionalism in dealing with the world, would, as measures of self-reform, work to moderate radicalism and suppress terrorism. The problem with that thinking, of course, just as it was a lethal problem for Israel, is that jihadist foes see those reforms not as acts of kindness and understanding, but as weakness. According to Ross, when dealing with diplomatic players in the Middle East, it is “our reliability that matters to them. If they perceive us as less reliable . . . that is what will affect their ties and responsiveness to us.” That means that professed fairness, or neutrality, or diplomatic disengagement, telegraphs the reality that the U.S. is willing to abandon its moral compass and employ negotiating tactics contrary to our best interests and those of our allies. Far from making us seem like more honest brokers, the attempt to be neutral signals that our foes can seek concessions and exploit our weaknesses, and that our allies will not be assured of our unwavering support for them in the global community. How did the distancing from Israel work for the State Department since 2009 in getting Abbas and Netanyahu to the bargaining table? Very poorly. In fact, creating daylight between the U.S. and Israel, as a practical matter, has meant that Secretary of State John Kerry has continually applied pressure on Israel for concessions—primarily revolving around the settlements and continued building—which Abbas has conveniently pocketed while not having to perform or concede anything on the Palestinian side. The appearance of neutrality, rather than engendering trust and a feeling that all parties are being treated fairly, indicates quite clearly to the Arabs that their maximalist demands and intractability over core negotiating issues will prevail, absent U.S. pressure and a normal give and take in negotiations that exists when parties feel equally empowered. The considerable negotiating experience Mr. Trump trumpets as part of what differentiates him from the other presidential candidates is, of course, based on his experiences as a real estate developer, where negotiations deal with such issues as shaving points off of mortgages, squeezing concessions from city officials for tax abatements, and working with building departments to acquire variances for density, height, and other factors that will increase the profitability of a development project while reducing risk. But in these negotiations the individuals sitting on the other side of the table are engaged in rational exchanges, where parties give and take in a way that each derives benefits and choices are made based on assumptions of practical risk and reward. In dealing with Arabs, where an honor/shame cultures suffuses all negotiations, rationality is not the moderating factor; in fact, the assumption of a win-win negotiation, typical of the boardrooms where Mr. Trump has done business, is completely foreign to the style and substance that diplomats encounter when negotiating borders, refugee status, and Palestinian statehood. Again, neutrality, a holding back of one’s actual expectations and demands, will result in completely the opposite intended result. There is an aphorism in diplomatic circles that says, “The problem is not with people who see only black, or people who see only white, but with people who only see gray.” In other words, diplomats must make hard moral choices: they have to stand for what is right, they must navigate through a process in which competing demands can hamper success, and, in the end, the honest broker cannot examine every nuance, remain neutral, and not take a position because doing so is not the morally appropriate thing to do.